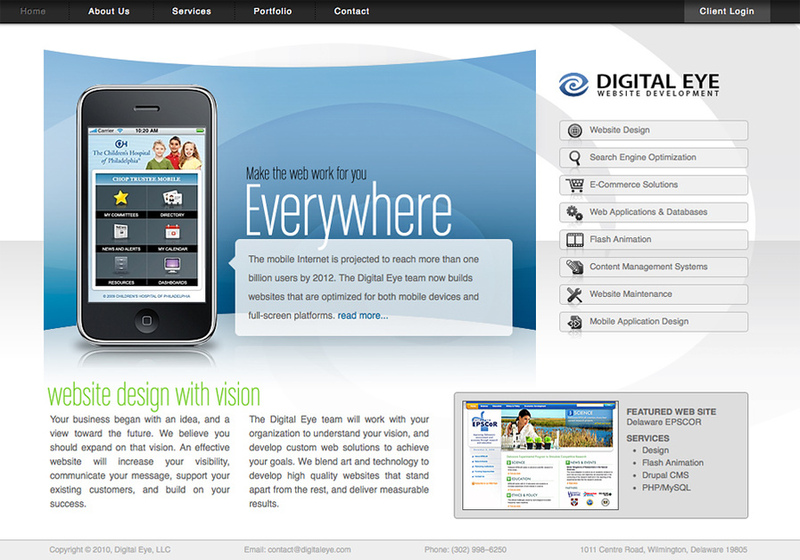 The team at Digital Eye specializes in professional website design and development. Our experience allows us to seamlessly fuse visual art with web functionality to provide a quality experience for your website visitors. We take pride in our precise coding, site markup, and original, custom graphic design. We're excited about the redesign of our website.